As AGWM regional director for Eurasia, Omar Beiler gives direction and oversight to nearly 447 missionaries and missionary associates serving in 43 countries stretching from North Africa to eastern Russia. Omar grew up in the Amish and Mennonite communities of Lancaster County, Pennsylvania. His parents were Old Order Amish, and Pennsylvania Dutch, a dialect of German, was the primary language spoken in their home. Always interested in business, Omar became involved in entrepreneurship even as a young man. When he was 17, Omar attended an Assemblies of God revival meeting where he accepted Christ, was baptized in the Holy Spirit and called to preach. Also attending the meeting was Pat Dagen, a young woman from a nearby Mennonite settlement. Two years later, in 1974, the Beilers were married. As Omar grew in his relationship with Christ, his focus for life shifted to full-time ministry, with a specific drawing toward missions. He did coursework locally through both Millersville University in Millersville, Pennsylvania, and Valley Forge Christian College, in Phoenixville, Pennsylvania, and earned his BA degree from Southeastern University in Lakeland, Florida. After graduation, he and Pat pastored churches in Ohio and Pennsylvania for 13 years. A growing burden for the lost led them to seek missionary appointment. 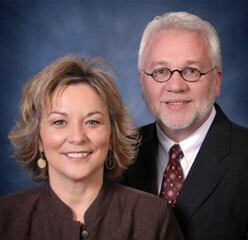 In 1993 they arrived in Vienna, Austria, to serve as missionary pastors at Vienna Christian Center. During the next seven years they expanded their knowledge of the German language and guided the church as it grew to more than 400 people from 35 nations. In 2000 Omar was appointed area director for the CIS and Baltic Republics, which included nine republics of the former Soviet Union. For seven years he helped lead ministries into previously unreached areas and emphasized the need for theological training among believers. He became Eurasia regional director in 2007. His passion is to plant the church and establish a strong gospel witness among the 4,000 unreached and neglected people groups across Eurasia. In addition to a bachelor’s degree in Bible and theology from Southeastern University, Omar also holds a master’s degree in organizational leadership from Azusa Pacific University in Azusa, California. He and Pat have two children: Jennifer and Justin. Jennifer, a social worker for at-risk women, and her husband, Wayne Collier, live in Pennsylvania. Justin lives in Missouri, where he helps direct Eurasia Trading Company and Eurasia Café, two support ministries of the Eurasia region.